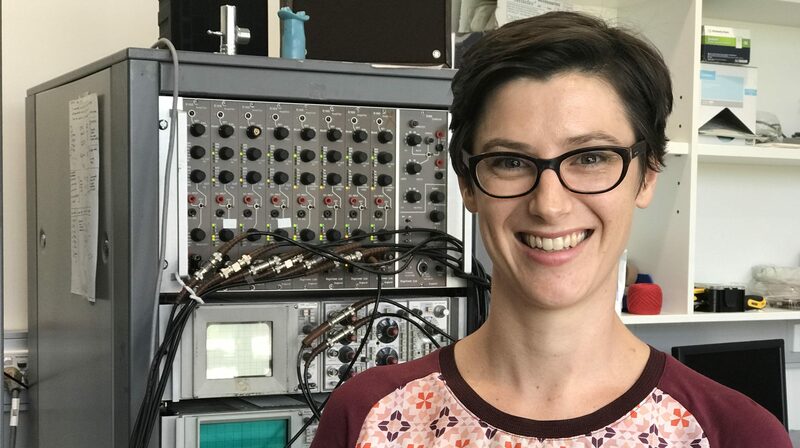 Dr Anna Hudson Senior Postdoctoral Fellow at NeuRA has been awarded the Lung Foundation Australia/Boehringer Ingelheim Chronic Obstructive Pulmonary Disease Research Fellowship. This award was announced in Canberra on Monday 27th March, during the TSANZ Annual Scientific Meeting. “I am going to use my knowledge in the techniques to measure muscle and brain activity to detect impairments in the neural control of breathing in these people,” said Hudson. 1 in 7 Australians over 40 are affected by Chronic Obstructive Pulmonary Disease, which is a progressive disease that makes it hard to breathe and causes shortness of breath, progressing in its severity over time. People living with this disease usually experience coughing that produces large amounts of mucus, wheezing, shortness of breath, chest tightness, and other symptoms. Neuroscience Research Australia (NeuRA) is leading the future in Neuroscience research. See Dr Hudson speak about her research fellowship.